For us, fall means football season and football season means tailgating. Whether we’re heading down the street to our local high school to watch a playoff game or making the drive to see one of our favorite college teams, tailgating is half the fun of the game. It’s a great time to hang out with friends and enjoy our favorite foods. 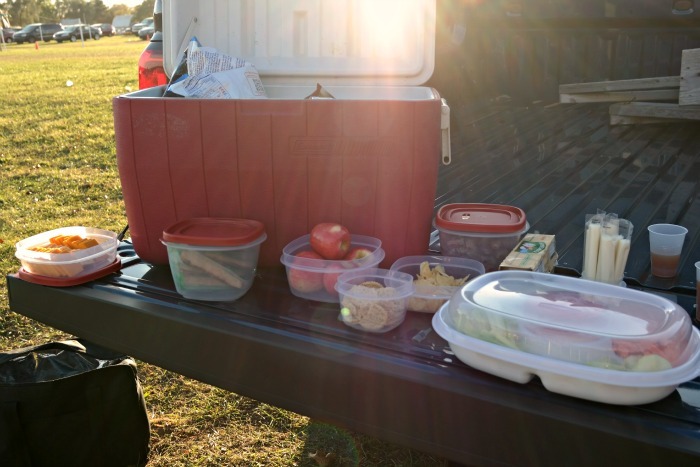 What I don’t like about tailgating is the food mess that we’ve often experienced when trying to package our foods for traveling. Rubbermaid takes the mess out of tailgating with no hassle, smart, simple solutions that make food storage less complicated. 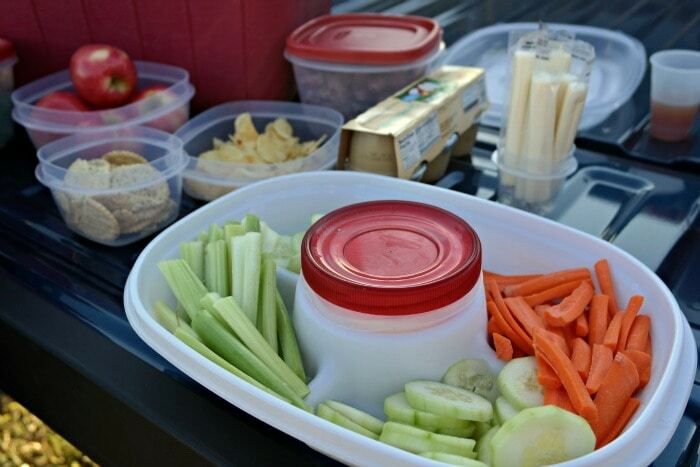 The Rubbermaid containers are perfect for well portioned meals on-the-go, snacks, or favorite recipes for tailgating with friends. They are designed to be easy to find, easy to use and to keep food fresh longer. My favorite Rubbermaid food containers for at home and on the go are the Easy Find Lids™. The containers make kitchen and pantry organization simple because the lids and containers fit together the lids snap together and snap to the bottom of matching containers. This means the right lid is always easy to find. The containers are square and come in graduated sizes that nest together which takes up less space in our cabinetry, refrigerator or cooler. They are also 100% BPA free and are microwave, dishwasher and freezer safe. We also love the Rubbermaid® Party Platter. It’s lightweight and while it’s great for on the go, it still looks great for parties at home. It’s great for keeping fruits and veggies separated and has a separate container with lid for dips or other things you don’t want to spill. It’s also 100% BPA free and are microwave, dishwasher and freezer safe. 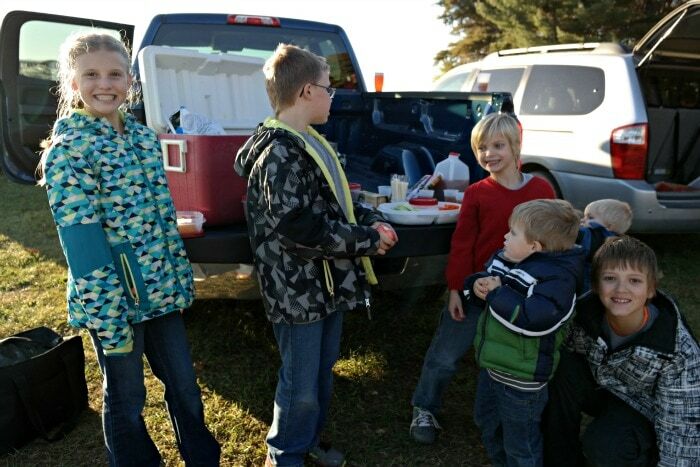 The last time we headed out with friends to tailgate we filled our food storage containers with all of our favorites. We had a 2 hour drive to where we were going and a full car. I was worried about how our food would arrive. In the past thing are spilled and we have a mess to clean up before we even get there. With the Rubbermaid Easy Find Lids everything stacked together and the containers were still stacked when we arrived at our destination. We served right from the containers and that made our clean up quick and easy! It was a gorgeous day and a great time spent with friends. 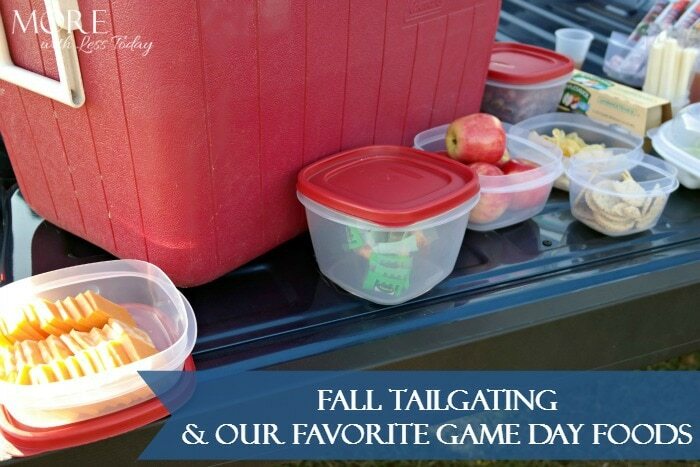 How do you transport your favorite foods for fall tailgating?